In 1986, Lama’s Kenpo Karate began as an idea to facilitate the art of Shaolin Kenpo to friends and family members in the Bernal Heights community as a way to build self-confidence, awareness, and self-defense. In the mid 80’s, the Bernal Heights neighborhood was known to have an above average crime rate, which included random assaults, robberies, and the selling of illegal drugs. It made walking the streets unsafe during any time of the day. Although, this was considered a rough neighborhood it was Professor Lama’s vision to share his knowledge in self-defense so that others may benefit. Professor Lama first began teaching out of his own garage where he only had five students. The space was very limited, but Professor managed to teach katas and conduct sparring sessions in his 12’x18′ garage space. His motivation and combined passion for teaching encouraged him to open up his first formal karate studio in Bernal Heights. After four successful years in business, Lama’s Kenpo Karate expanded and moved into a larger location in Bernal Heights. 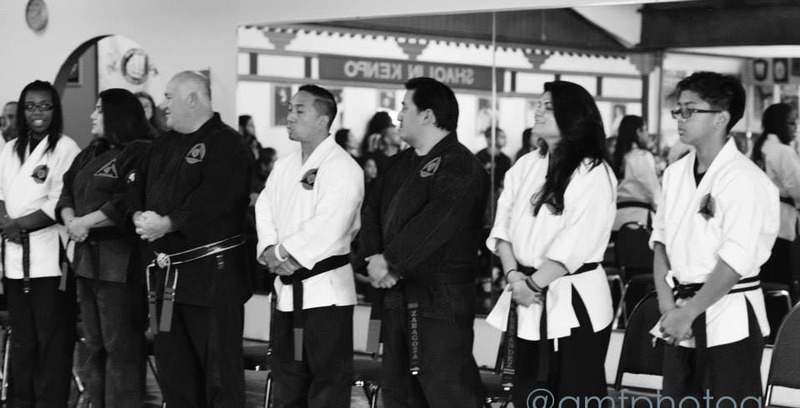 As enrollment increased at Lama’s Kenpo Karate, Sibok Lama moved the school to its present day location in San Bruno, Ca. It is here that Professor continues to build self-confidence, awareness, and discipline into his students.